A straightforward solution for greater security, effeff access control systems protect and control buildings, individual rooms or other security-relevant areas. We supply a comprehensive range of different technologies, devices and systems, which can be tailored to meet respective specific security needs. effeff access control systems satisfy our customers&apos; individual requirements and are used in the private, industrial and public sectors. Whether it’s a question of strong rooms, development departments or laboratories, there are areas in buildings which need to be specially secured, particularly since property right infringements are becoming increasingly common year after year. effeff access control systems regulate access to protected areas effectively, limiting entrance to authorised groups of people without needlessly disrupting their day-to-day business. effeff access control systems offer optimum standards of security and convenience and are superior to conventional locking systems in many respects. They provide an up-to-date solution, not only for doors, but also for door drives, lifts and parking facility barriers, as well as parking structures and underground car parks. They also serve as a reliable “helping hand” for machine controls and activation of electronic equipment. 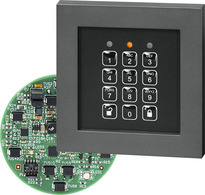 The effeff access control systems can be individually adjusted to your requirements. 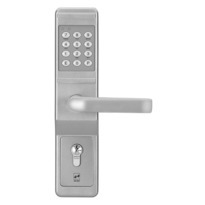 Depending on specific security requirements, various technologies, devices and systems are used. The proven technology ranges from a stand-alone system for a door to a complex, networked major system. Therefore, effeff systems are suited to use in industry and retail just as much as in authorities or for the protection of private property.